If we define a friend as someone who desires what is best for others and enriches the lives of those around him, then Steve Jobs was indeed my friend. As the news of his passing broke across the various media outlets, I was saddened as though I had lost someone close. I could not understand why I was feeling the impact of his passing so profoundly. I began to try and understand how I could feel this sense of loss at the passing of someone I had never really known on a personal level. As an Apple employee, I received an Apple ][ for free and was able to later purchase a Mac SE20 for a significantly discounted price. These two products fundamentally changed my life, and a love for technology was born. Through his vision and drive, Steve made these products a reality. While the Apple ][ was more of a rudimentary, when compared to the gaming of today, gaming novelty, the Macintosh, its interface, and software changed my life in so many wonderful ways. Where would my life be without that truly personal computer that changed the way I lived my life and inspired my willingness to enter the Desktop Publishing field? Up to that moment in my life, none of my “real-life” friends had inspired me to make such life changes, nor improved the way tasks, both great and small, were accomplished within my life and business. Through the subsequent years, the Mac continued to be an important part of my everyday life. Real-life friends would come and go, but the Mac was always there like faithful friend greeting me with a happy chime and a smile. Yes, there were those dark years when Steve was not with the company, but, even though he may not have known it, he was still working on the technology that would continue to enrich my life. With his triumphant return to Apple in 1996, Steve brought back the NeXT (pun intended) technology that would see Apple and the Mac platform well into the future. Those years between 1985 and 1996, better known as, “a disturbance in the force” were difficult for those of us who felt like Steve was the brother that Mom and Dad had kicked out of the house for being a rebel. Through the years between 2001 and 2006, Steve and I enjoyed a great relationship. He would show me the new “fruits” of his labors, and I would buy them. It was a give and take relationship, Steve would give me a new keynote and then he would take my money. I didn’t mind, I was just glad to be the little tag along brother that Steve was embarrassed to have with him and would get mad at from time to time, but would never let anyone else abuse. He was always looking out for me. It was January 9, 2007. I was in San Francisco to visit with my Apple friends and get reacquainted with my friend Steve. He always seemed to have something special for me during this time of year and I was always excited to discover how broke I would be following my pilgrimage. Finally, he revealed what I never knew I always wanted. It was the iPhone. It was beautiful, intuitive, an industrial design masterpiece. It was the best work Steve had ever done and it would fundamentally change the way the world communicated with one another. As Steve introduced the iPhone, one came away with the sense that he knew this was his greatest accomplishment, technologically. It was a convergence of everything Steve deemed important in a device. Through the iPhone, Steve’s design ethos of a simple and beautiful design wrapped around an elegant and intuitive interface would touch the world in a profoundly important way. Once again, Steve had enriched my life. I have become so dependant upon my iPhone, there is no one and no thing that I interact more with on a daily basis. More than any other product superintended by Steve, the iPhone has been his greatest gift to me. I wish I could put into words what it has meant to me in terms of impacting my life in such a positive way. Thank you my friend! In January of 2008, Steve brought the MacBook platform to its fruition. The MacBook Air was introduced by Steve and it was clearly the MacBook that Steve had always wanted. It was beautiful and functional, albeit not as functional as it would one day become, an industrial design worthy of Jobsian appoval. I was excited to own one and once again so thankful to my friend for thinking of me and the type of MacBook I would be happy using. I would ultimately sell my original MacBook Air waiting for a more powerful version. In July of this year, Steve gave me the MacBook I always wanted. Beauty and a Beast, the diminutive 11.6” MacBook Air with the Intel i7 processor is the best MacBook I have ever owned! It was no doubt what Steve always wanted the Air to be, however, as with many of Steve’s visionary ideas, the technology needed to catch up. With an iPhone and the MacBook Air, what else did I need? Steve had completed my technology puzzle. I was content. There was nothing more I needed, so I thought. Finally, in 2010, my friend had, “One More Thing” to improve and enrich my life, the iPad. Built upon the iPhone’s proven design ethos, Steve understood that the vast majority of computer users needed more of an appliance than a traditional computer. Their needs were very specific and simple. Always able to pinpoint what we really need and more importantly, want, Steve introduced another revolution. As with the iPhone, the iPad has taken over the tablet market and has set a bar that no other tablet, to this point, has been able to reach. What can I say about the iPad? While I was convinced I didn’t need anything else to confidently tackle the day to day tasks within my life, the iPad has stepped in and filled a gap which I didn’t even recognize existed. As with the other Apple devices within my ecosystem, Steve knew I would need them and at the end of the day, that was one of his greatest strengths. Thank you my friend! On October 5, 2011, the world lost one of the great visionaries of this era, Apple lost its indelible heart and soul, and I lost a friend. No, Steve did not know me personally, but he knew me intellectually, philosophically, and logically. His vision and drive led him to produce products that so perfectly fit my needs it was as if we had spent years together and he truly understood what would improve and enrich my life. At the end of the day, could I ask anymore of a friend? 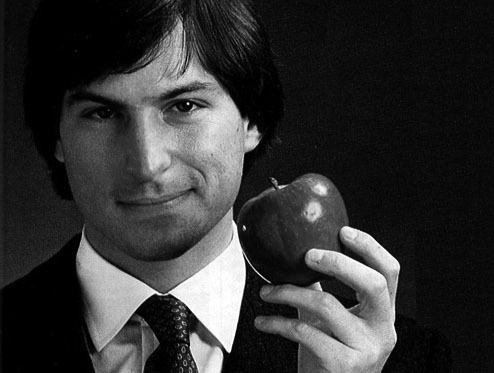 Steve, thank you for everything you have done to improve our world and enrich my life. Rest in peace my friend. May your family find peace and rest during this difficult time and may the company that you dedicated so much of yourself to carry on in your visionary spirit and truth.